Bushels of apples are being delivered to farmers markets and grocery stores across the country as we settle into Autumn so there is no better time to start planning what to do with all those apples. Enjoying them freshly picked is always a good option but if your Fall menu includes apple pie, apple dumplings, applesauce, dehydrated apple slices or an exquisite tarte tartin (for the super adventurous), peeling, coring and slicing apples will be on your to-do list. A paring knife or vegetable peeler does the job but a better tool is the Victorio Apple Peeler: a machine that peels, cores, and slices apples easier, quicker and with less waste. 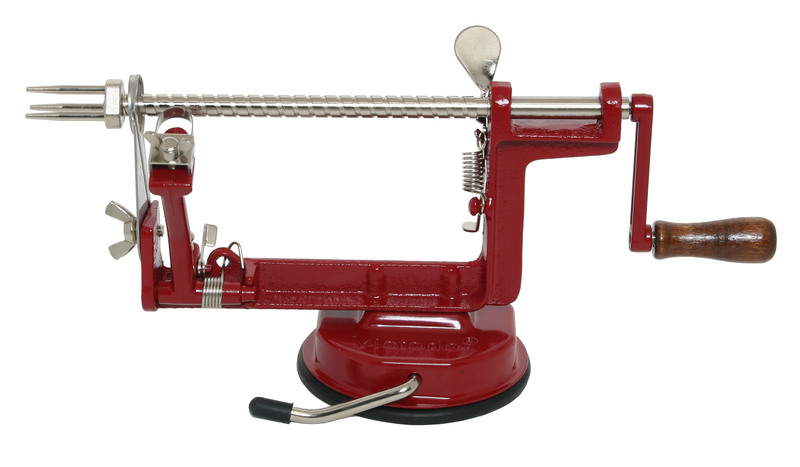 The Victorio Apple Peeler comes assembled (all you have to do is screw the fork and the wooden handle on). 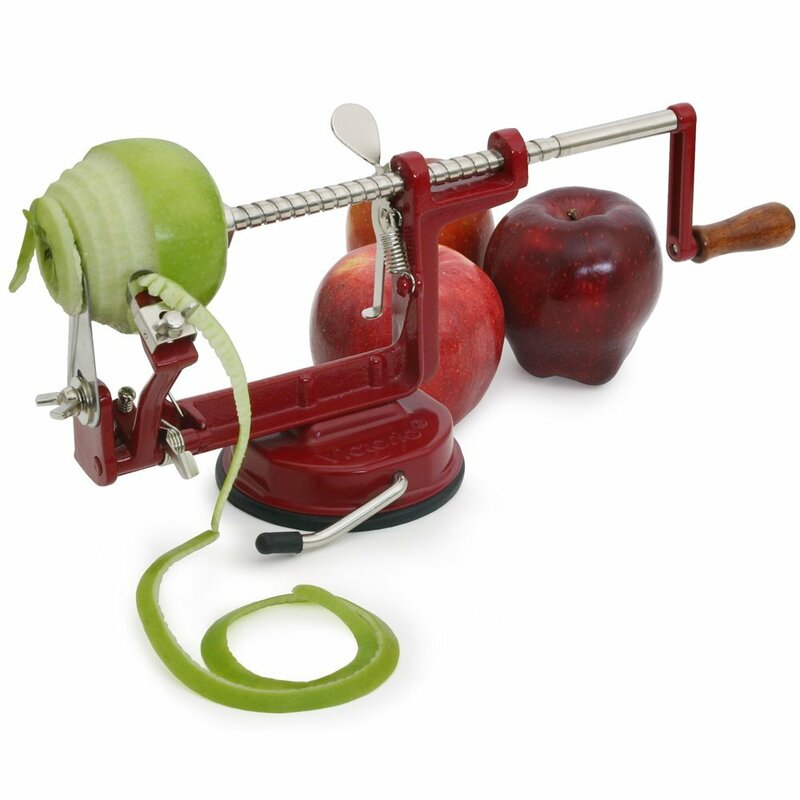 Follow the easy instructions that come with the machine or watch the 4-minute video by Raw Nutrition called the Victorio Apple Peeler Slicer VKP1010 Suction Base VKP1011 Clamp Base Demonstration (a long title that simply means “how to use the machine”). The Victorio Apple Peeler sells for about $25 and can be purchased on-line directly from the company at www.victorioproducts.com and most on-line retailers selling kitchen products, including www.amazon.com. The machine can also be purchased in the kitchen department of most retail stores but beware of copycats that may not work as well (the word “Victorio” is engraved on the suction base of the authentic Victorio Apple Peeler).